There’s nothing quite like receiving the gift of fine jewelry, and high quality jewelry can be as unique as it is affordable if you know what to look for. Pieces that include small gold accents, semi-precious gemstones or personalized engraving can run anywhere between $200-$500 and are sure to be worn for years to come. Here are a few examples that showcase value, individuality and fine craftsmanship. By incorporating gold into a piece of jewelry crafted primarily of sterling silver, the value increases while the cost remains reasonably low. Whether it’s pairing a silver pendant with a gold chain or adding a gold bail or clasp, adding a pop of color with rose, green or yellow gold is the perfect way to add intrigue and value to any piece. 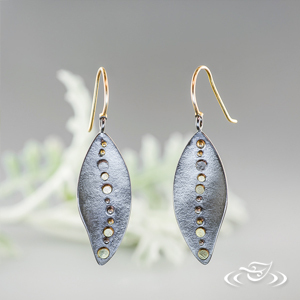 These unique dangle earrings incorporate oxidized silver with gold. Similar items under $500 available at both our Seattle and Bellevue locations. With endless variety, semi-precious gemstones can showcase a birthstone or just a favorite color, making your holiday gift as unique as the recipient! Rutilated quartz, morganite, amethyst and topaz are especially popular options. If you want to step outside the traditional look of single-stone studs, these four stone amethyst earrings (pictured below) make for a great holiday gift. 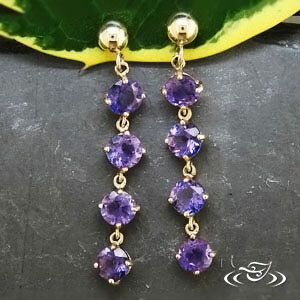 Amethyst and 14k gold dangle earrings, $465. 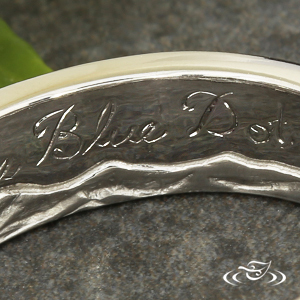 One of the most sentimental ways to personalize a piece of jewelry is through hand engraving. Contrasting with the rest of the metal, hand engraving offers a subtle sparkle as opposed to the flashy fire of gemstones. Engraving can be done in the form of a design or written text commemorating a date or conveying a message to your loved one. For inspiration from past hand engraving pieces we’ve done, check out our gallery here or visit either our Seattle or Bellevue locations for a quote. An example of a hand engraved message to personalize any holiday jewelry gift. With more than sixty artists at work, Green Lake is proud to be America’s leading custom jewelry shop. While we have grown significantly since first opening in 1996, we pride ourselves in retaining our small business origins. 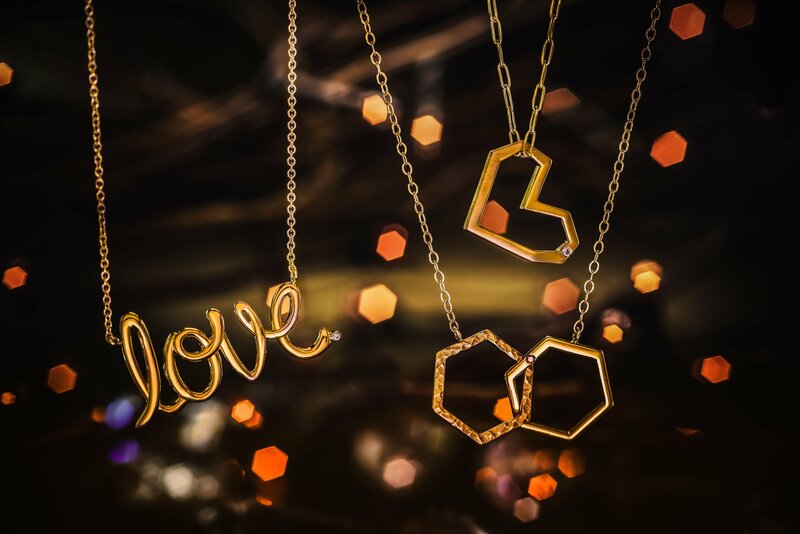 Our jewelry designs are a reflection of our skilled craftsmanship and your ideas, blending perfectly to create the ideal gift! Contact us at info@greenlakejewelry.com to find out more.